Sarah is a full-time working mother of two children under the age of six. She wants to earn some income on the side to help with the household expenses. Lately she has been reading up on freelancing and affiliate marketing, but she doesn’t know where to start. Or you can do a little work and give your blog a fighting chance of finding a real audience and make money out of it. Off to tweet. Welcome to the SB family, Meera. Hope you receive a hundred comments! Thanks for the warm welcome and share Kevin! A 100 comments, now that would be fun! 🙂 Glad you enjoyed the post! I felt amazing reading this post as this was the problem I and most of the bloggers faces during their initial stages. You made the point clear. Slowly and slowly I am recognizing my target audience and your this post supported me. I’m so happy this helped Pawan! I struggled a lot with this too at the beginning. And I see it so often in the Facebook groups. I hope this helps new bloggers gain some clarity. Thanks for your comment! Hi Meera! This post was beyond fantastic – seriously so so SO good. It’s really helpful how you broke the reader profile out into the 3 main sections (demographics, interests, motivations) and that tip about using Facebook Insights… genius! I really thought I had a crystal clear reader profile, but after reading this I realize that much of it IS based on assumptions I’ve made. I’m going to use this process this week to get a more legitimate grasp on who EXACTLY I’m writing for. Also going to share this with my (mostly beginner) audience as well as FB groups. It’s going to be tremendously helpful! Awww…thank you Candis, you’re the sweetest! 🙂 I’m absolutely loving Facebook insights too. It’s amazing what you find there. 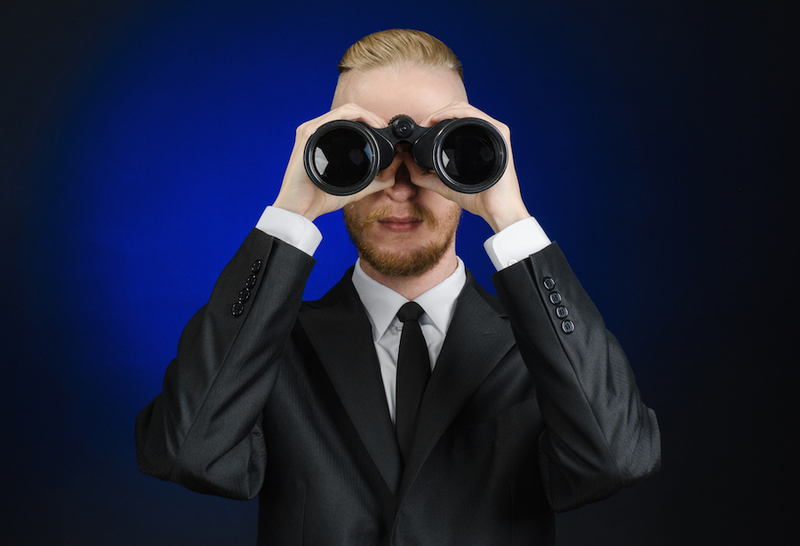 You’ll pretty much feel like a stalker with the wealth of info. Thanks for popping by to comment and tell me how it goes putting this to use! There is just something about an article where you go into deep detail about everything and I mean everything! 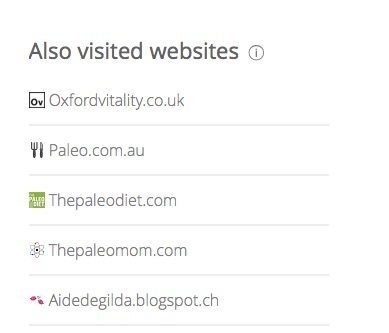 I wasn’t too aware of SimilarWeb, but I shall certainly be using it now. Meera, thanks! This post really supported me. In one of my professional gigs I’ve been tasked with developing content for a group I know nothing about. You just gave me a step-by-step plan to get there. Thank you! Your gig sounds interesting Cathy! All the best and hope it goes great for you. Happy this helped! Top notch ideas to research your audience. 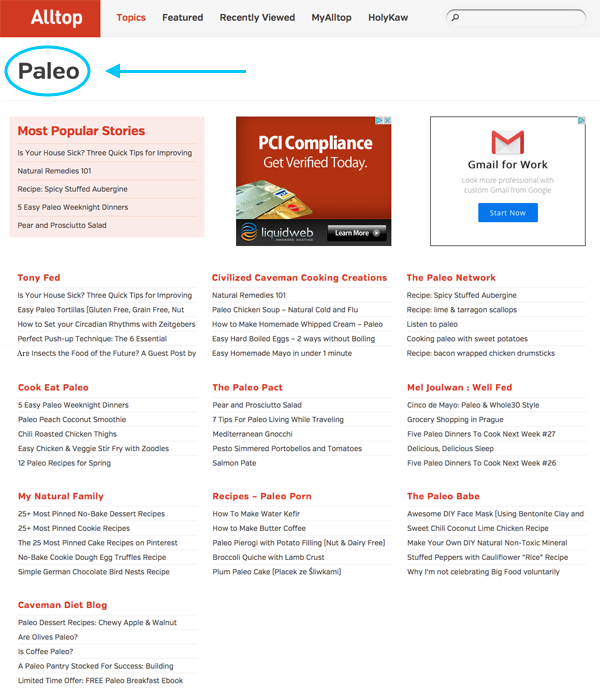 I also like doing “top blogs + (niche)” to find the competitors. Sue, I don’t think you could ever be out of tips and tricks! 🙂 I haven’t tried what you suggested. Will give it a shot to see how different the results are. Thanks for stopping by to comment Sue. Appreciate it! I am going to start up my blog this coming weekend and looking forward to it. I have become stuck with myself recently , due to more than one reason, including information overflow while I still have a hundred percent involvement in my business . So I had to slow down and reset in own interest. Your tips are a welcome and nice to read piece of work. I appreciate your ‘no arrogance’ style of advice. Keep well. 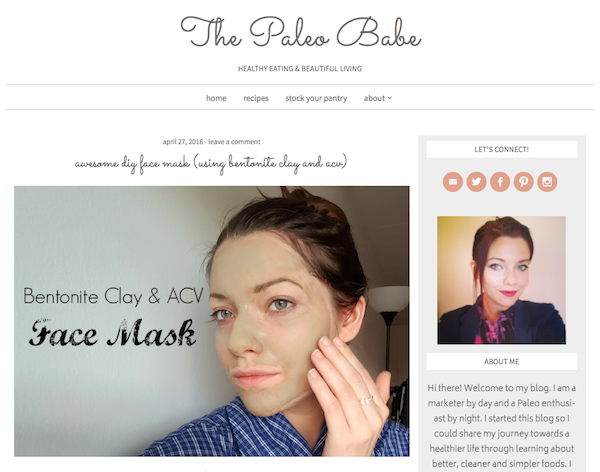 Congrats on the blog launch Leonie! Info overwhelm is something most new bloggers struggle with. I think it’s important to just start rather than wait for perfection. I certainly regret not starting earlier. It’s amazing that you’ve decided to do this while being busy with your biz. But of course, take care of yourself to avoid the dreaded burnout. I’m sure you’ll do great. All the best and thanks for your comment! Wow. What a hefty, content-rich post, Meera! Thank you so much for sharing your experience and knowledge; desperation isn’t detectable through the internet, is it? 🙂 But honestly – your advice comes from both success and failure which gives it tremendous weight. Bless you for sharing it, and for blowing my mind at the same time. This is definitely something I will return to read, and re-read, again and again. Thanks you Meera. Excellent article with practical advice and visuals of the tools and strategies. Very helpful and timely as I am getting ready to create a blog. The universe has a way of sending the right information and people into your live. To your continued success. Great advice, Meera, I’ll be using your advice in developing my target audience which, on the surface, seems like an easy audience to define but has definitely presented me with some challenges. That’s great Jay! Hope this helps you get some clarity. I’m sure you’ll be sailing ahead in no time. Thanks for stopping by to comment. Thanks Meera! I would like to turn my blogging hobby into a profession. And while I’ve known for some time that defining my audience is critical for doing this, I did how to begin going about the process of doing so. Exciting times ahead for your Rich! 🙂 Deciding to go pro with your blog is a big decision! I’m so happy this helped! Great post. Appreciate the details since so many posts on this topic provide the general but manage to leave out the how-to. Look forward to yours future communications. This is a fantastic post and so helpful. Thank you. I’m looking forward to digging in and seeing what I can learn about targeting my ideal audience. 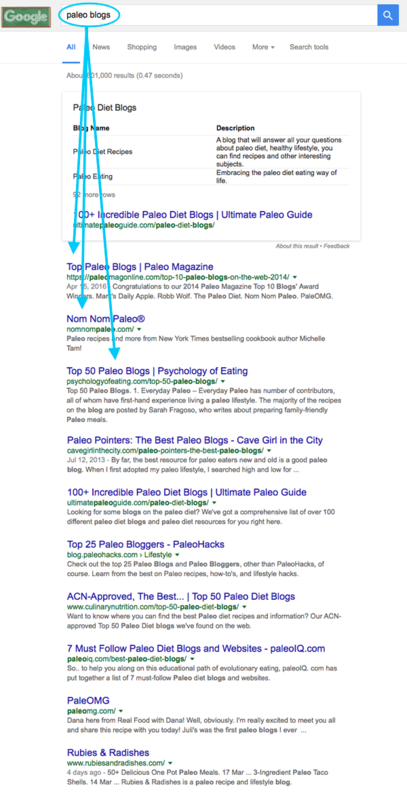 I’ve been blogging for seven months & looking for info beyond Google Analytics. Thanks! I hope this post gave you some tips that are ‘out of’ Google Analytics. Thanks for your comment Josh! Thanks Meera for an excellent step by step article. As a brand new blogger, I greatly appreciate your insight into how to really get to know my audience. Thank you Meera, great info, will be looking forward to more from you! Enjoyed your article, Meera. 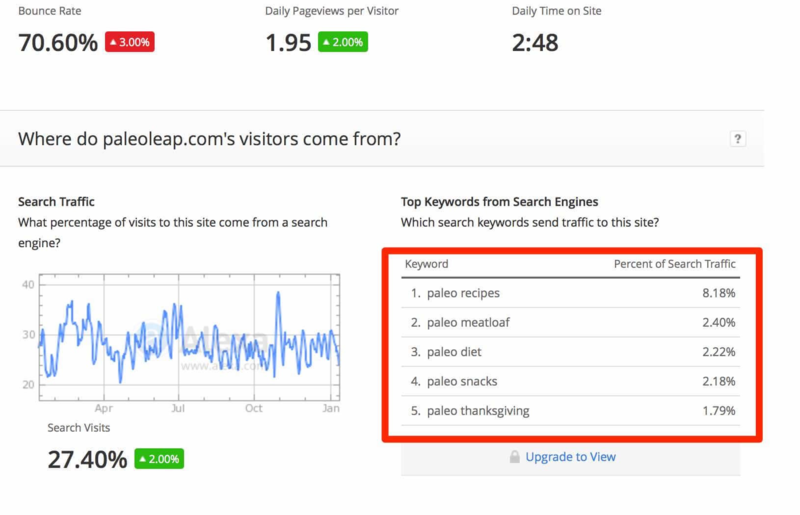 I use a “target audience” exercise with every client and when I teach workshops, but hadn’t thought of combining that with some of the tools you recommend for researching the competition. Thanks for pushing me to think outside the box. Would love to hear the results from using these tools together with your usual ‘target audience’ exercise Laura! Thanks for stopping by to comment! I ran for 30 min after last night’s SBO time. During the run, I’ve been seeing midlifers running and thought for a while if my Midlife Runner idea (as validated by Marsha in Blog Launch) would take off. I’m not even sure if these guys would read running blogs. This is really timely. Although Alltop has been mentioned in the SBO materials, I really haven’t done it in this sequence – Alltop, Alexa, FB. I’ll dig deeper if indeed midlife runners are into blogging. Sounds like you have an audience worth exploring Jojo! Let me know what you come up with! Good luck! Thank you Meera. I am exactly your audience for this. Not only for myself, but my writing group whose members are looking for good information on building their author platforms. This information will be very much appreciated, and I get to look so smaht for finding it! A load of amazing information, here, and I thank you for it! I’ll be returning often to get it memorized. Ha! Hey Katharine, I know it’s a lot to take in. You could start off and play around with 1 or 2 of the tools, get comfortable with it and then dive into putting your audience profile together. That’s exactly what I did. Good to know you’ll be back but don’t memorize it! ;p Appreciate your comment! Meera, excellent post! I love the really in-depth guide you put together here (well done on that). The Facebook group tips are killer. I’ve found AMAZING community within the 40+ FB groups I’ve made an effort to join and post in this year – new audience members, peers, and even a few clients. Searching the group for pain points is a gold nugget idea. Great work here. Thanks for your comment Julia! 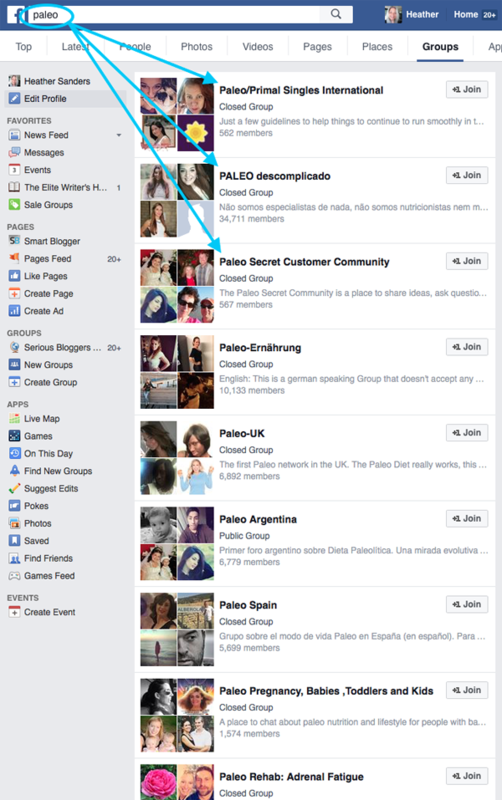 I absolutely love the search box within FB groups. You’d be surprised what you find with it. You realize people have a lot of the same questions and you start to see a pattern of sorts. So happy you had takeaways from his post! Meera, there is so much good, actionable content in this post that I don’t know where to start! I know I have some excellent tools now that I can use to find out more about my niche. This was quite the in-depth post. Thank you for taking time to make it so thorough. Also I love your intro with the survey. I am going to use that one I launch mine in a few days. Thank you! You’ve introduced me to a few more methods, I love this! Thank you for taking the time to put this together!! <3 your stuff Meera! Enjoyed your article, <3 Thanks for stopping by & thanks for your kind words! I agree 100%. Blogging has so many benefits. One of the biggest rewards is not monetary, but to be able to help people struggling with something you’re an expert on, connect with like-minded people all over the world and to have a channel to express yourself. Thank you so much for sharing your experience and knowledge; This is a fantastic post and so helpful. You can imagine how much I appreciate your post. Thanks a lot once again Have a nice day! I especially appreciate that you used the name “writing to Sarah” as your general example… because I’m pretty sure 65% of my subscribers are named Sarah… Which is exactly who they ! Ha ha! Moms my age/generation who need all the things you said in your example! Thank you for the advice! I so wish I had read this post a year ago! Well, it’s back to the drawing board for me and this time, I’ll start it right, thanks to you. This post is amazing! Very nice and informative post Meera. 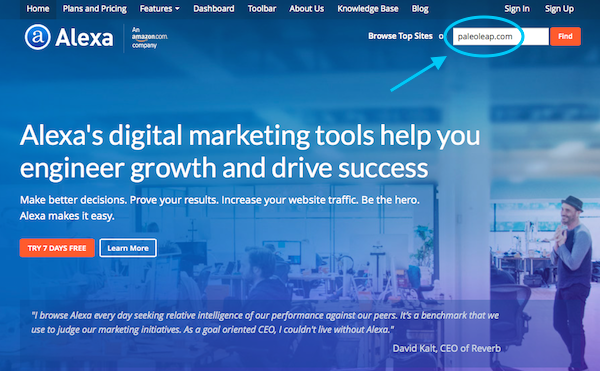 I am using most of the above sites like similarweb to check the efficiency of my blog. However I will try some others which is completely strange to me like alltop. Thanks again for this great article. That’s great that you’re already using most of these tools Vishwajeet! I’m sure Alltop will make a good addition to your tool kit. Appreciate the comment! I’m really impressed with the article! I’m sure that there are a lot of newbies and experienced bloggers who will find these tips useful. 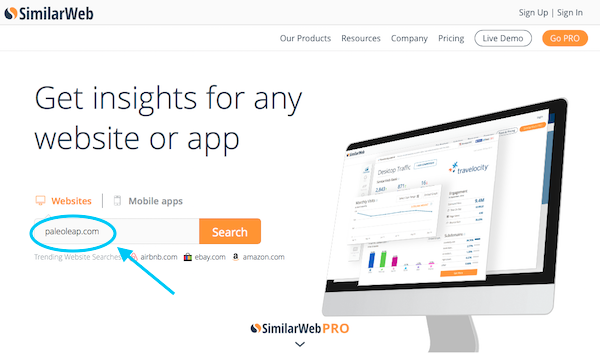 I’ve been blogging for about 6 years now and I never heard of SimilarWeb. I wish I knew about this, or something similar to this, when I first started. I was a social media junkie back that lol… but not not so much although I still try to engage at least twice a week. The smart thing that anyone can do is profile their target audience and you really laid out a great map to do so! Thanks for sharing Meera! Have a great day! Sherman, thanks for sharing your thoughts. I was surprised to find SimilarWeb as well. It’s been such as eye opener using it. Glad you enjoyed this post and appreciate the comment! 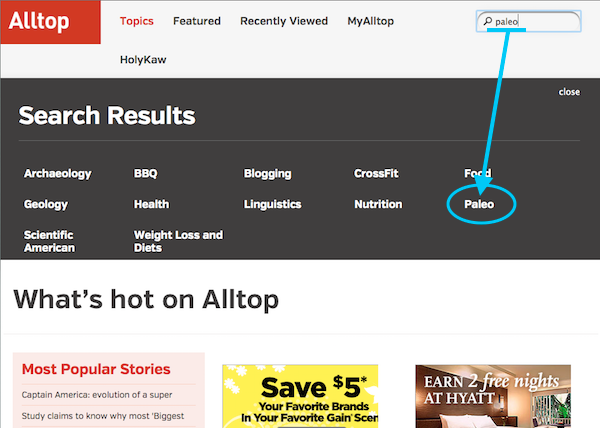 Alltop and Feedly are great resources for ideas to find your own niche. 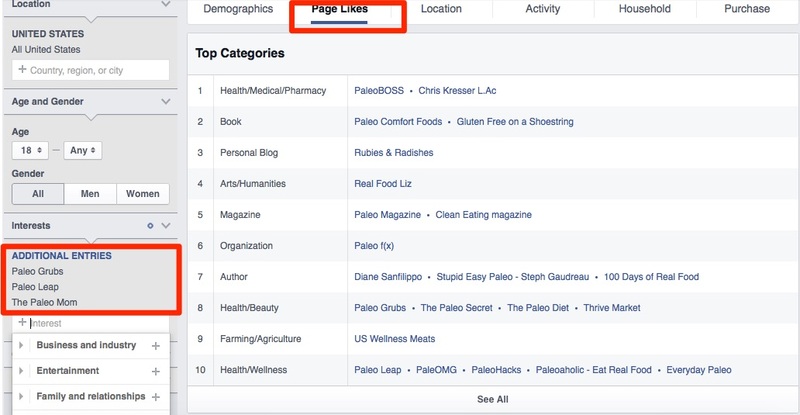 I like the facebook method to find and target the right audience. 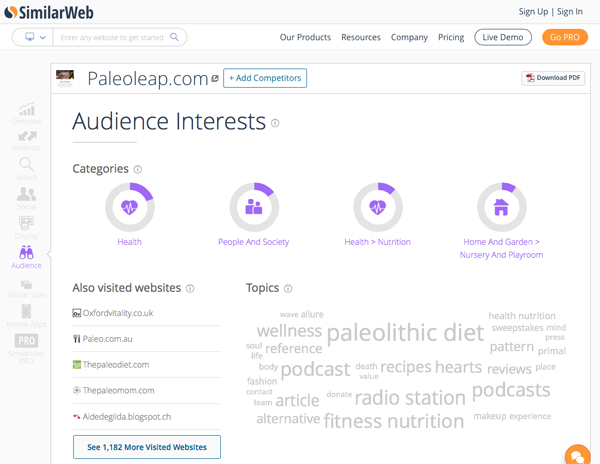 Similarweb is also a nice tool to get a glimpse of competitor data but it not very accurate. The best part is all the above tools mentioned by you are free. Thanks for sharing. I’m happy you found this post useful. 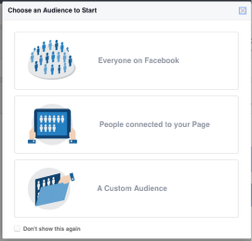 Facebook Audience Insights and the search box are definitely my favourite tools too. Thanks for stopping by to comment Tauqir! Highly useful tips and resources. This is really a smart strategy to achieve results faster. You have an awesome site. Subscribed to your list. Wow, Who knows I’ll be seeing my friend Meera down here on SmartBlogger. First of, Welcome and what an awesome post you have written here. Tons of insight and helpful stuff. Guess you’ll be seeing me earlier in your Inbox than expected. Facebook is such an effective tool when it comes to understanding your readers. I have used it to know exactly the right people I should target. I like the way you have explained clearly these six steps on how to profile your ideal reader. Great that’s you’re already using Facebook Joshua! It is amazing what you find in there. Appreciate the comment! I’am new in this field dont know exactly which type of blog to choose, but now i got idea what to do with my blog thanks meera. I just wanted to say, thank you so much for writing this post. I have heard from so many people, ‘get to know who your audience is’. I then tried to, failing miserably and not knowing how to get the info, then losing so much time in the process…. Anyway, I just wanted to say thank you for spelling it out and going through each stage so thoroughly. Meera, what a knockout post! I’m still a beginner blogger by most standards, and this is unbelievably helpful! I’m going to be implementing most if not all of what you’ve shared here. That’s awesome Brad! Hope you get all the info you’re looking for. All the best with your blog and thanks for your comment! Hi Meera. That’s a wealth of information that you just opened up for me. I’m very curious about how some of those sites gather their information. Alexa was very clear that some people choose to install code so that Alexa can track them, much like we do for Google Analytics. I want to look more into that. I’m definitely going to use some of your advice to get a better idea on what kind of audience I could be focusing on. Thank you very much. Thanks for highlighting these tools. Sumome and GA are great if you already have a blog and audience to target. Haven’t heard of feedjit though. Will have to check that out! The post was targeted more at bloggers who are just starting out and who have no audience to begin with. Thanks for stopping by to comment! Appreciate it! This is freaking amazing! You could turn this into a 4 week course with some videos, worksheets, accountability actions, weekly Q&A, etc. Brilliant!